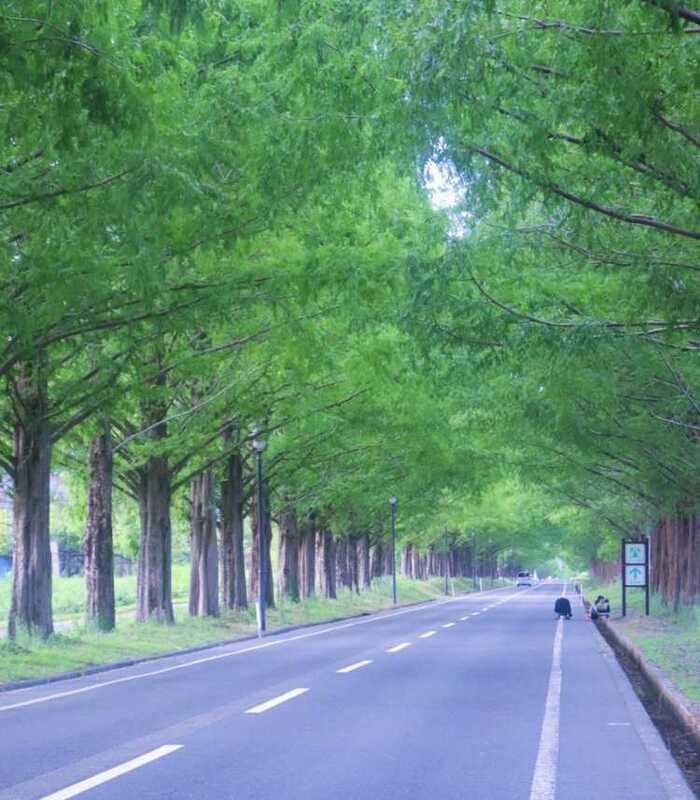 The Metasequoia Avenue is beautiful every season. 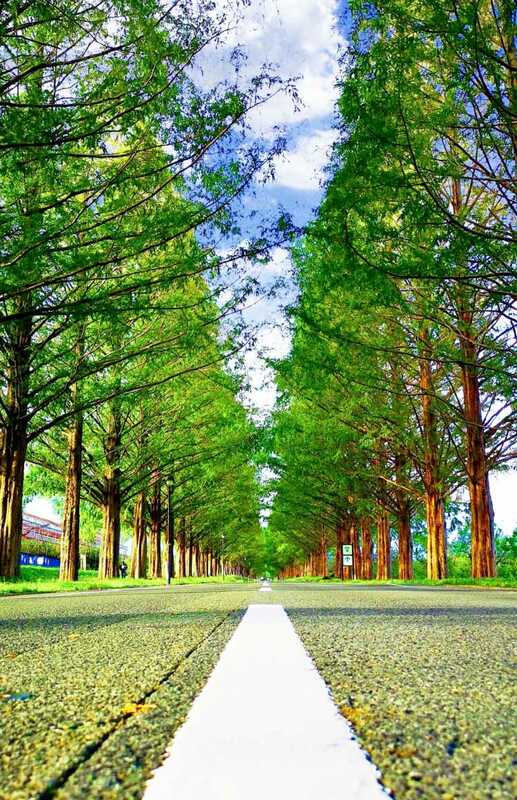 Specially in summer, you can see the wonderful scenery of shining greens and the zebra road weaved by lights and shadows. At Makino Highland, located in the north of Lake Biwa. 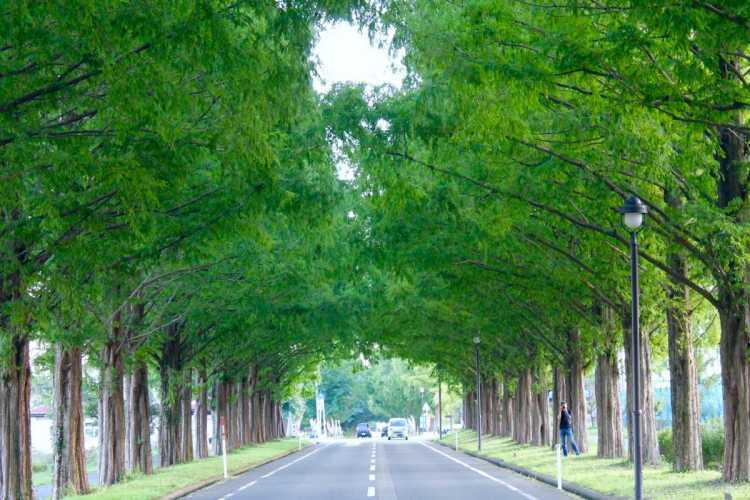 As many as 500 trees of metasequoia line up along the street of 2.5km. Enjoy the different expressions of each season, like lush greens in spring and summer, the splendor of the leaves in autumn and the snowy scene of white branches in winter. 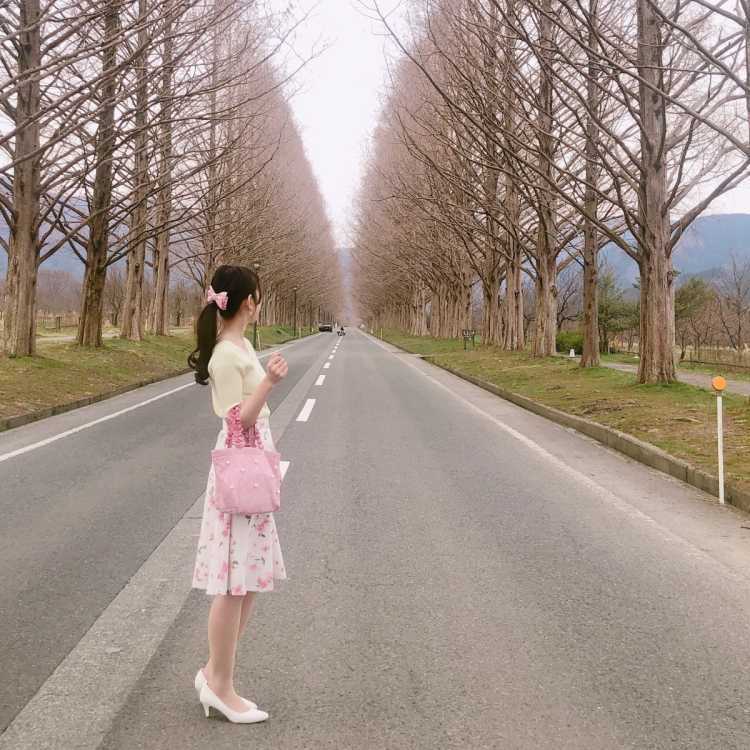 It's very nice place we can enjoy various seasonal scenery. The trees and green mountain are both beautiful. I feel the time glides slowly in the calm atmosphere. This place is a little far away from Metasequoia Avenue. I could take pictures as many as I like because a few people came here. What I have in my hand is dandelion. 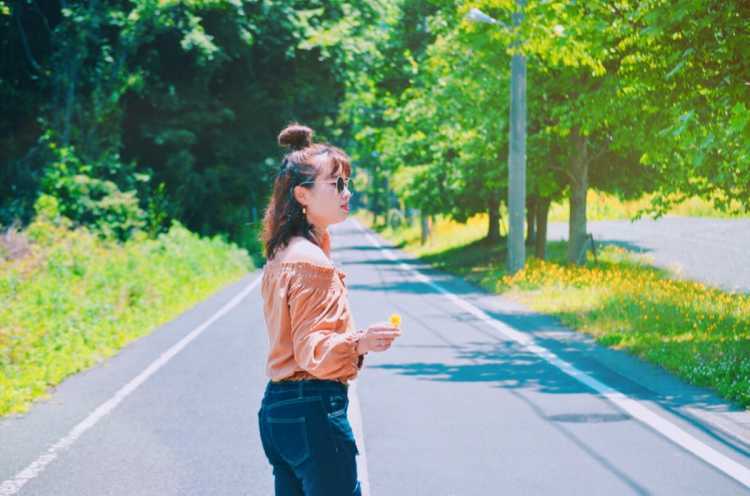 You can enjoy picking fruit at adjacent Makino Pick Land. Now, it's chestnut. 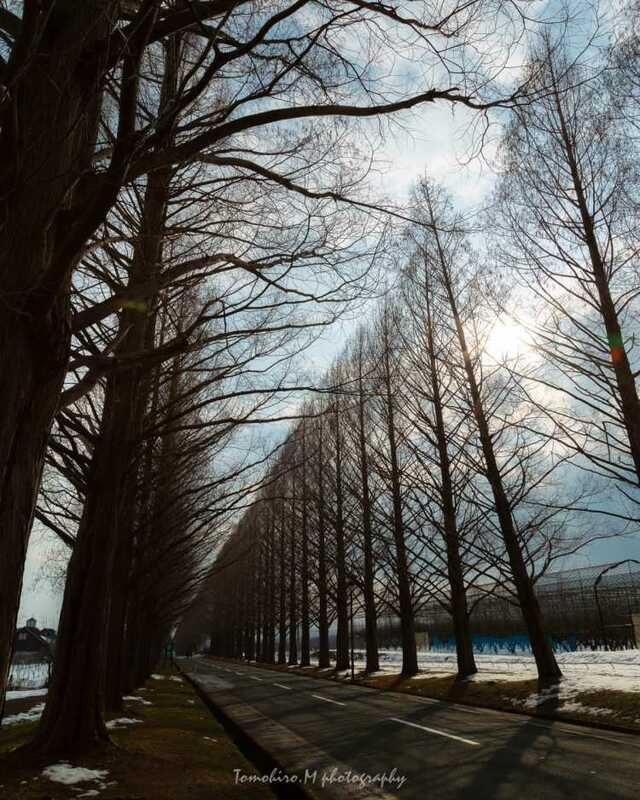 I could see the Metasequoia Avenue expanding straightly with a little snow covered landscape. It shows us various scenery every season. 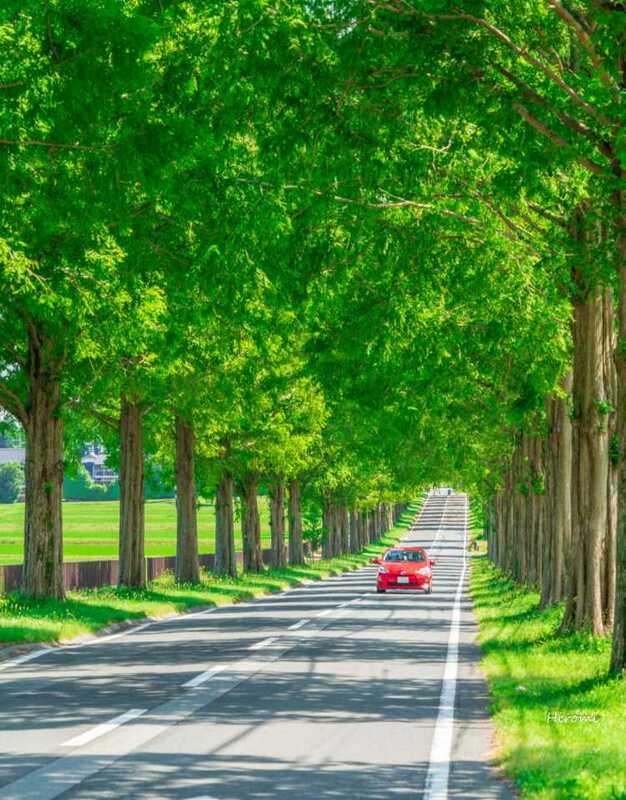 We can take photos like the avenue swallowing us up.◎Makino Pic Land has a free parking area. No parking on the avenue. While you take pictures, please make sure of safety, obey rules and manners.